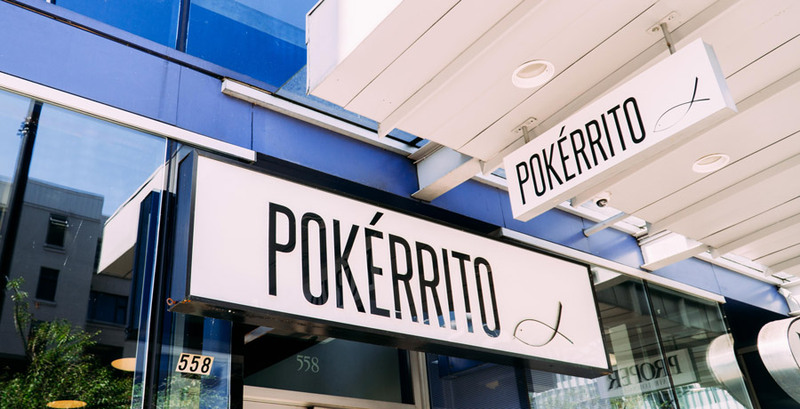 The Pokérrito franchise is more than just a restaurant providing a healthy selection of tasty food experiences - the unique and sustainable menu offers an opportunity to build on the lifestyle that is ever so prevalent all across Canada. The customizable, fresh, and flavourful poké continues to thrill food enthusiasts and first-timers alike. The consumer appeal and the amassing interest for Pokérrito can really be defined by our core brand and business values - in wanting to create a sustainable future, protecting our environment and being health-conscious. What may have been a dream or goal of opening a Poké restaurant has never become more achievable. Pokérrito is fueled by a sustainable business model which includes the quality, efficiency and affordability of our health and taste-conscious menu, and the simple, tasteful, yet inexpensive restaurant designs that allow any potential franchisees to start a Pokérrito restaurant of their own. The hype is real. However, Poké is now more than just the biggest food trend in the fast casual restaurant dining industry. 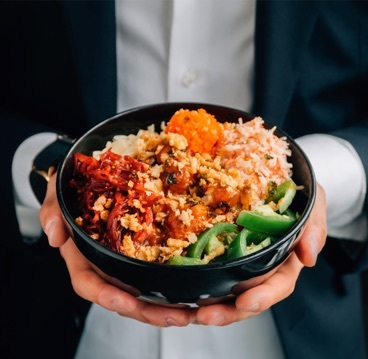 Pokérrito fully serves an opportunity on a dish where even Bloomberg pointed out that it’s much more economical in opening a Poké restaurant compared to traditional restaurants which require industrial-strength cooking equipment, integrated ventilation systems, and more. Pokérrito franchisees not only enjoy the benefit of our established social marketing efforts, but franchisees can also expect well-established and scalable support. Our online and offline campaign efforts capture our exuberant menu and speak directly to our interest-focused and health-conscious target audience, consistently communicating the unique benefits, core business values and being a fun, engaging brand to interact with. As a brand, the Pokérrito name has become one that is synonymous with ‘Sushi Bowl’, ‘Sushi Burrito’, ‘Poké Bowl’ and ‘Poké Burrito’. This not only provides increased visibility and recognition for the business, but the retention of the audience continues to grow with the name and branding associated. Pokérrito is Ocean Wise, meaning that all restaurants provide reassurance for customers in providing seafood products that are ocean-friendly and sustainable. At the core, we want to make it easy for consumers to make sustainable seafood choices that ensure the health of the ocean for generations to come. Our operations, which include supply chain and logistics are not only efficient, but you can also rest assured that we will be able to provide the opportunity to connect with the quality suppliers for ingredients, materials, and other necessities that we use on a day-to-day basis. We are committed and want to build more than a community of Poké enthusiasts; we want to align our brand with franchisees who share the same passion and expectation of excellence in the quality, preparation and service of healthy, sustainable and great tasting foods. Pokérrito will soon be franchising locations. We will be offering single and multi-store Poké franchise opportunities for qualified candidates. While we are continuing to evolve as a brand and grow our business model, the total estimate and cost in opening a single Pokérrito restaurant will be in the range of $250,000 to $350,000. That said, we require our partners to have a minimum financial net worth of $250,000 and minimum liquid capital of $100,000. For those interested in multi-store opportunities, these requirements will be adjusted accordingly. As you may have noticed, the Poké food industry is continuing to grow, and we truly believe that Pokérrito franchise is a unique business opportunity that strives to become at what is the core value of lifestyle choices - in making sustainable, high quality and affordable food options for every consumer. We are very pleased that you are interested in joining our Pokérrito family of award-winning Poké restaurants, and we would love for you to join one of the most notable restaurant franchise opportunities in Canada. Please fill out the following information and selected candidates will be contacted promptly. We thank all applicants and potential business owners for your interest and passion in joining the Pokérrito family!